A beautifully crafted 4-course indoor private candle light dinner. Stay cozy, stay indoors! With this in mind, we have curated for you an indoor private candle-light dinner set up at the resto bar of Peppermint, a well-reputed hotel in jaipur. And when we say private, we mean private! Enjoy a sumptuous 4-course meal within the warm and cozy ambience of the resto bar comprising of 2 starters, 2 mains, 2 desserts, and unlimited breads, along with delicious welcome mocktails for two. You will be seated at your private table as you arrive, and will be welcomed warmly with tasty mocktails for two. 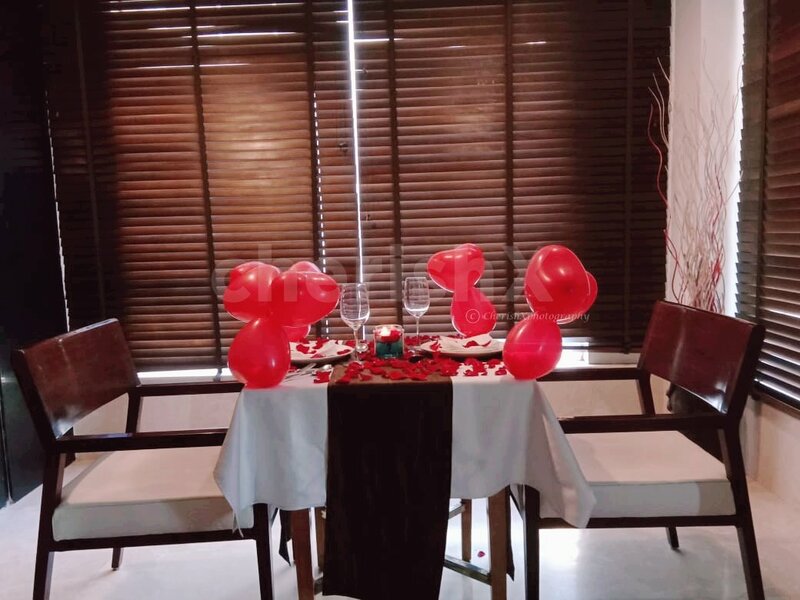 After that you will soon proceed to a hearty 4 course meal which will have it all from starters to mains to desserts along with unlimited breads. For your convenience, we will ensure that the service is hospitable and cooperative, in other words flawless. Hence you will have a private butler to yourself. 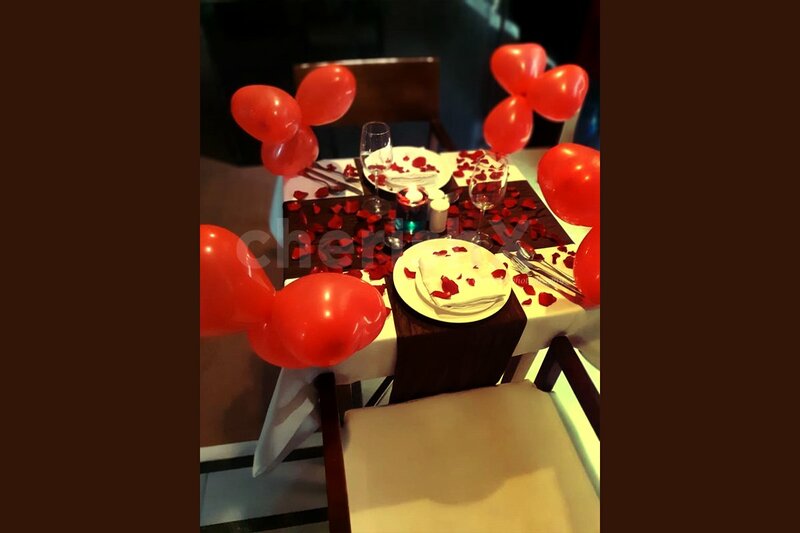 Your table will be decorated beautifully and in a statuesque manner with candles and flowers. This isnt your regular dinner, this is an experience! Sway to the ambient music and indluge your tastebuds, have great conversations and spread the joy to your loved one. We at CherishX wish you a very happy Valentine's day." Alcoholic drinks are served at the venue. The venue closes at 11 pm. You can place your order at most by 10:30 pm.